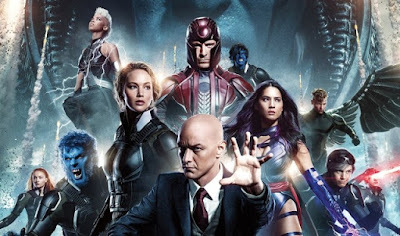 There are very few franchises that have had the continuous success of the X-Men universe. Bumps in the road have occurred along the way with films like X-Men: The Last Stand and X-Men Origins: Wolverine, but for the most part the mutant universe has entertained the world for the better part of a decade and a half. But when the children of the atom are tasked with their biggest threat yet, does the film measure up? Viewed as a god since the dawn of civilization, the immortal En Sabah Nur (Oscar Isaac) is the world’s first and most powerful mutant. After one thousand years of stasis, the powerful mutant recruits his four horsemen, including Magneto (Michael Fassbender). As the fate of humanity is at risk, Professor X (James McAvoy) and Raven (Jennifer Lawrence) must lead a team of young X-Men to stop this invincible villain from destroying mankind. The story is inherently simple and features so much build up throughout the long runtime. It’s almost as if the film features two first acts rather than a beginning, middle and end. But it’s not as though the film builds to anything in particular, outside of a thin third act that doesn’t quite come together. The acting is all around fantastic, but that’s to be expected with such a great cast as this one. The title character himself, Oscar Isaac as En Sabah Nur or Apocalypse, is a sort of wooden performance but that appears to be due to the layers of makeup and prosthetics. He is menacing enough for the new heroes to face, but still slightly one-note and uneven throughout. 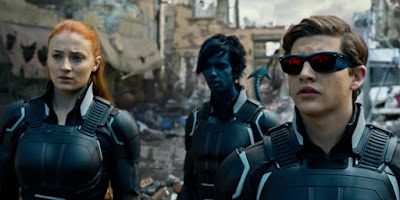 The new actors to the franchise are all great in their roles, particularly Tye Sheridan as Scott Summers. Finally giving the character justice on screen, Sheridan gives Cyclops some charisma and a good foundation to build onto in the future. The returning cast is back in action to characters they’ve settled into by now. James McAvoy, now more than ever, feels like the Professor that everyone knows and loves. His relationship with Magneto had been a highlight of the newest trilogy as him and Fassbender work amazingly well together. Speaking of Fassbender, Magento is the heart of the film. Fassbender is able to really show off his capabilities through the emotional beats that are given to him and his character. The biggest glaring issue with the cast is Jennifer Lawrence. It isn’t that she is a bad actress, maybe phoning it in here a bit, but what they’ve done with her character is difficult to watch. They’ve brought Mystique to the forefront of it all and the rest of the film suffers for it. The action is bigger in this film than any other X-Men film by a large margin and it’s not for the better. The biggest positive is that the young mutants actually feel like a team as they work together to defeat the horseman and Apocalypse. And while everyone enjoyed the Quicksilver, played by Evan Peters once again, scene from Days of Future Past, the near copycat in this film is cool but makes all the other members of the team feel unnecessary. 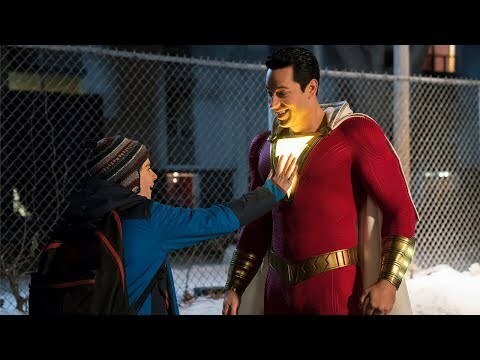 The big cameo that everyone wants to see is another cool scene but feels very tacked on by the studio and interrupts the narrative completely. So what did you think of X-Men: Apocalypse? Have you seen it and how does it compare to the other X-Men films? Comment below, share, subscribe, and remember to return to I Am Sam for weekly reviews and insight.